Sunrise 5:40 a.m.; Sunset 10:11 p.m.
From Valdez, we headed back north on the frost-heaved destructive road to Glennallen. 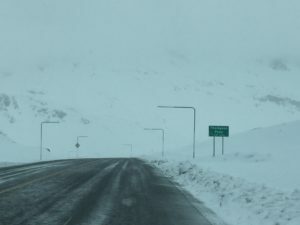 I didn’t sleep much because I ‘worried’ about the weather over Thompson Pass. 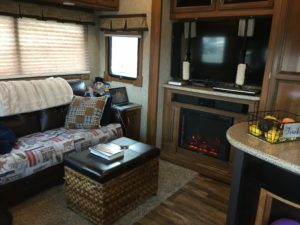 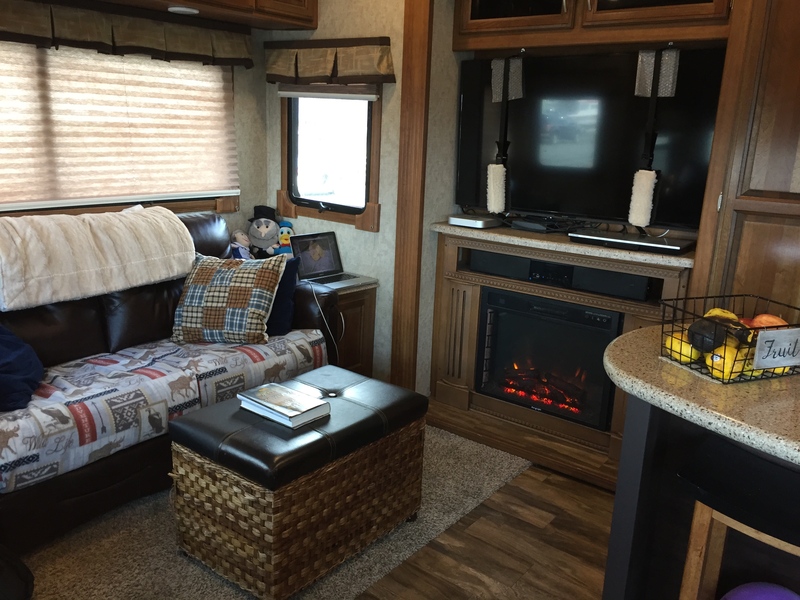 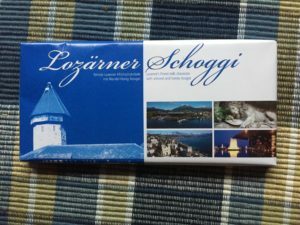 I am not fond of whiteouts normally, but with a 42-foot trailer that is my home on wheels, I really am not fond of the idea of losing it on ice or snow. All night it was as if the Lord spoke to me saying, “Trust me!” I do trust Him; I just don’t trust ME ‘hearing’ Him clearly! 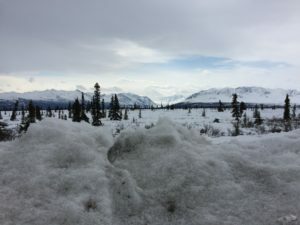 We woke to clear skies and great hopes for a safe passage. 511alaska.com said the pass was good and clear and so we headed out of Valdez. The L-shaped poles on either side of the road mark the edges for snow plows – yes, the snow gets that high. 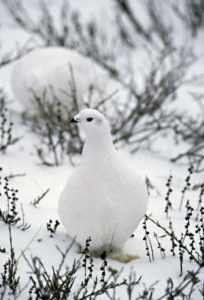 Near the top of the pass, we saw hundreds and hundreds of ptarmigan. 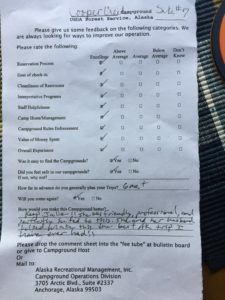 Unfortunately, I didn’t get any photos, but they are interesting birds. 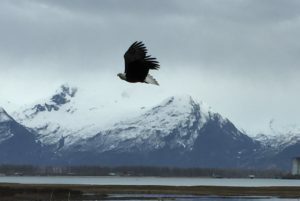 In the winter they have white plumage, in the summer camo. I had no idea they were such small birds and quick fliers. 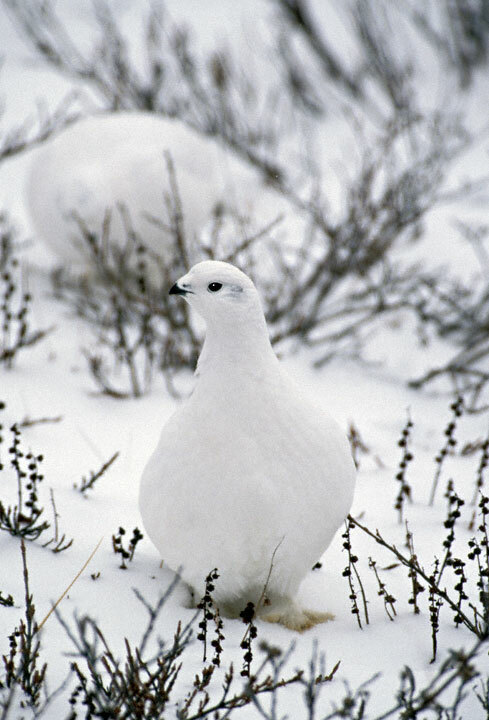 What’s even cooler is our daughter’s address is Ptarmigan and now I’ve seen winter ones. 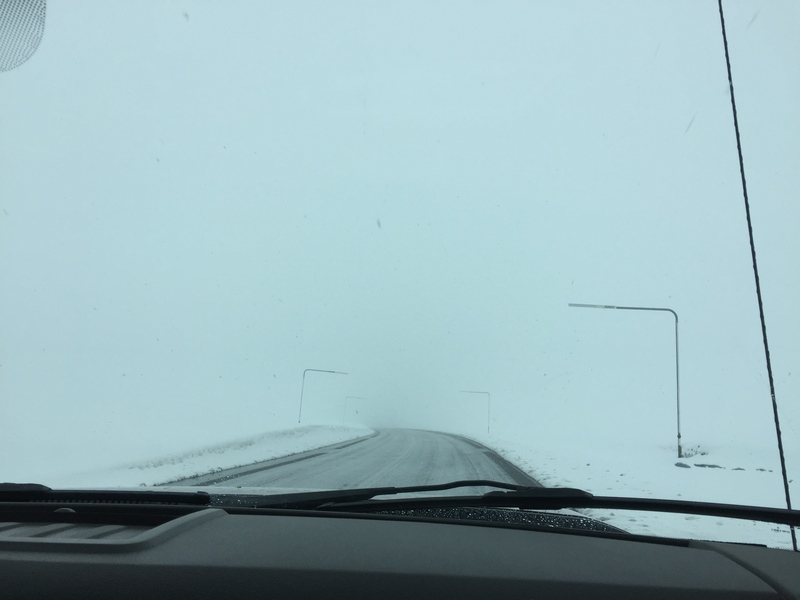 From Glennallen, we took the Glen Highway. 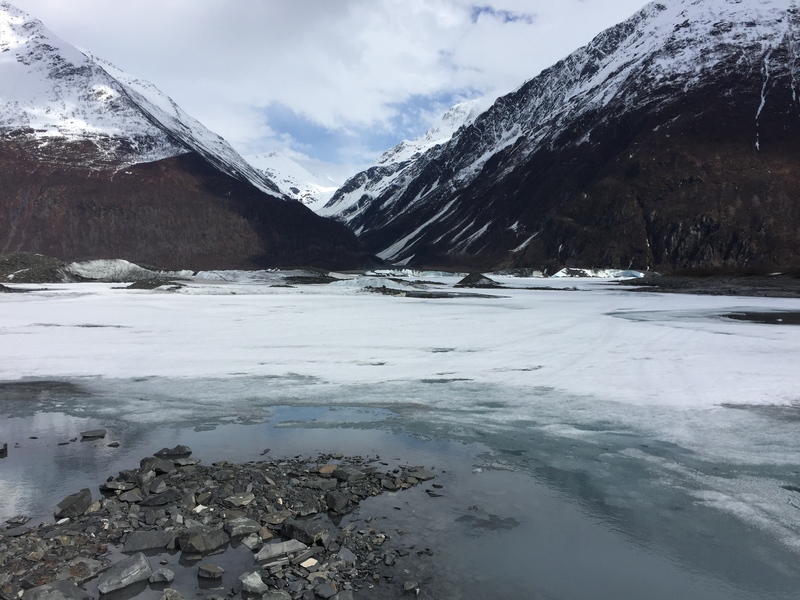 We had clear skies with some low clouds which made for some beautiful photos of the glaciers. 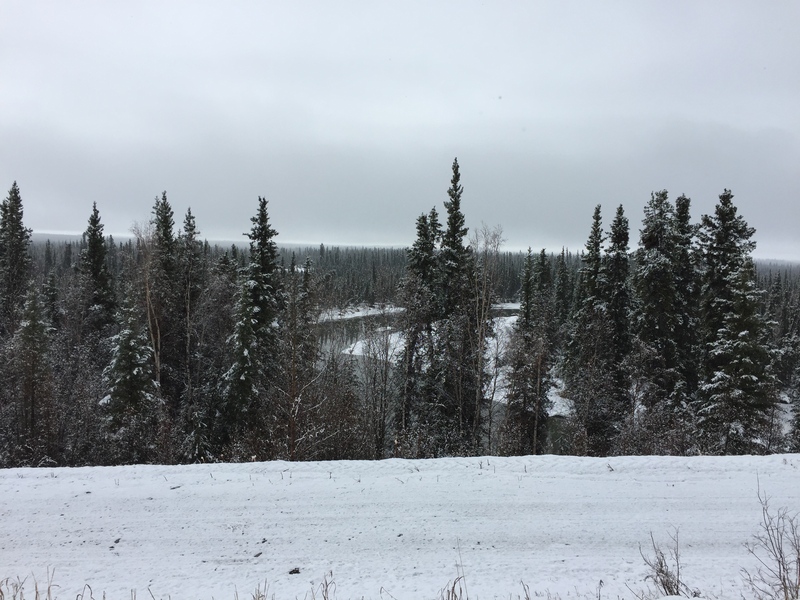 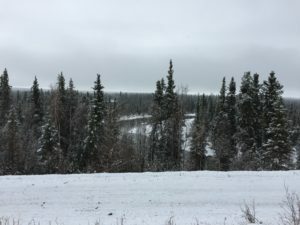 We have now traveled this highway in late summer with fireweed in bloom, in fall with the autumn colors and now spring/winter with frigid temperatures and snow. 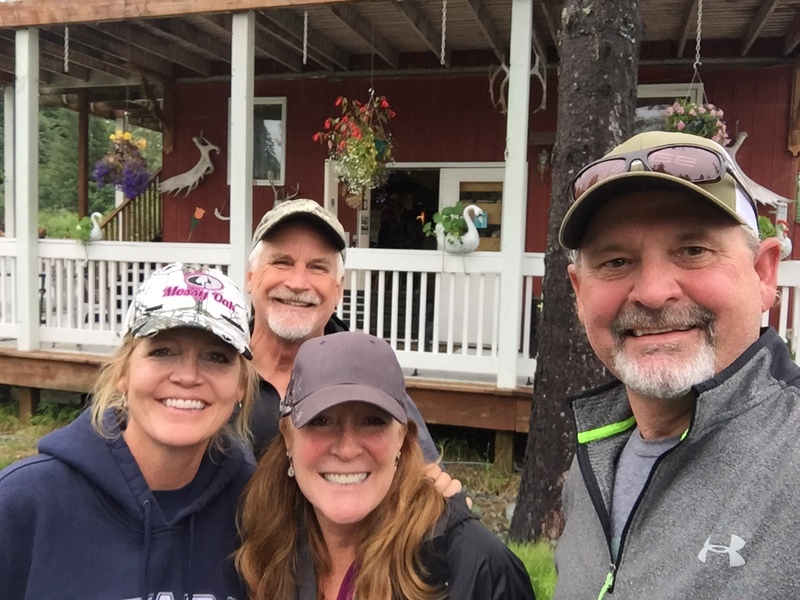 When we finally arrived in Anchorage, it was time for a quick stop for lunch and … Cabela’s. We didn’t really ‘need’ anything, but I’m looking for a rain parka (long) to replace the 30-year-old one that fell apart after last summer. 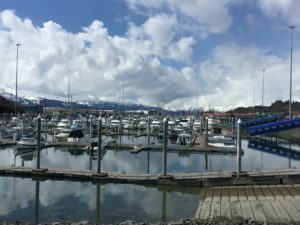 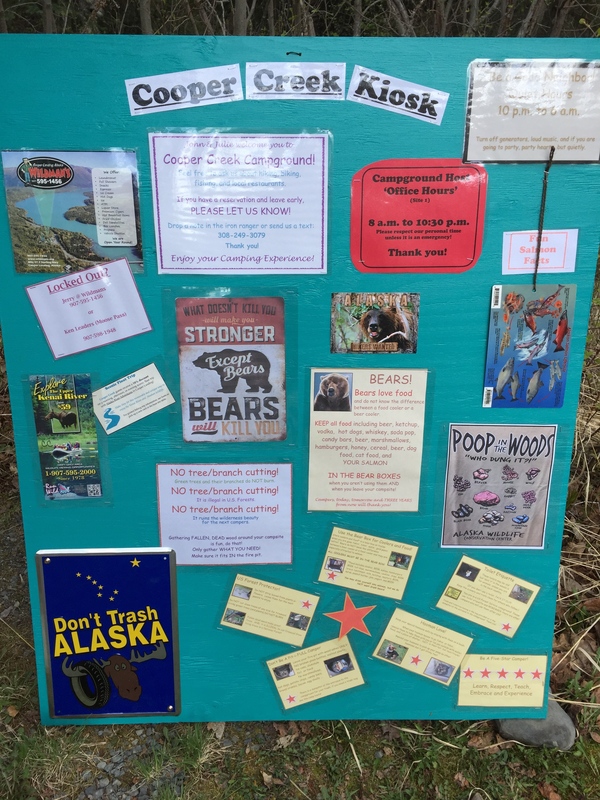 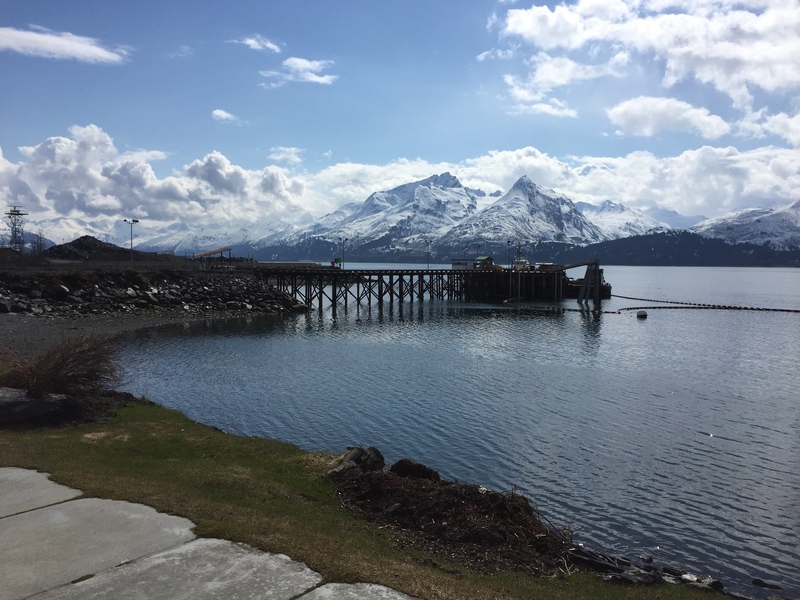 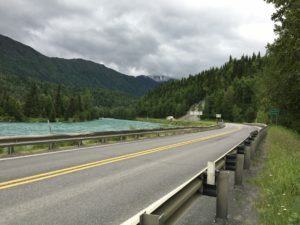 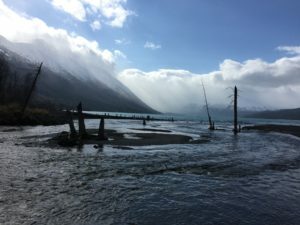 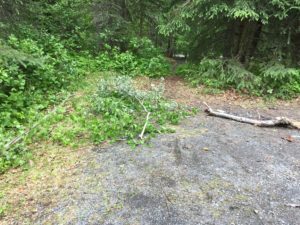 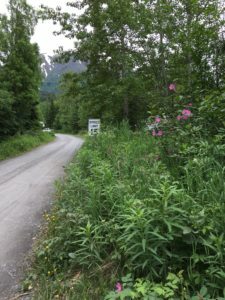 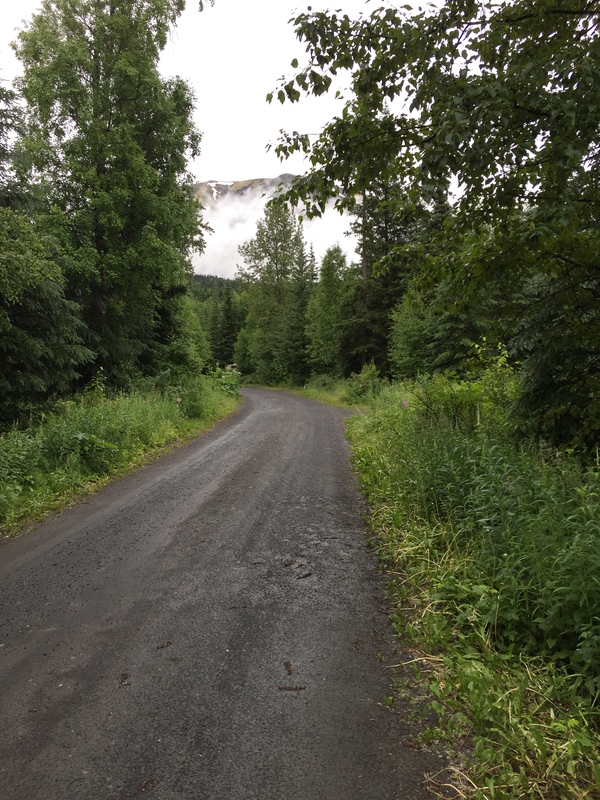 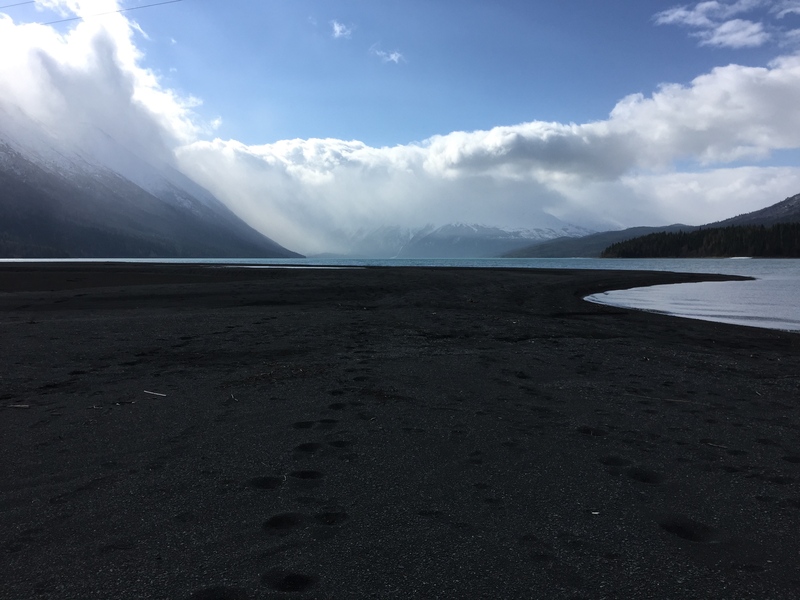 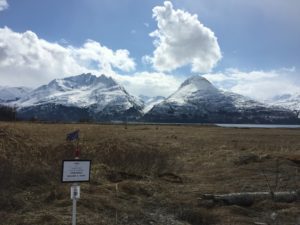 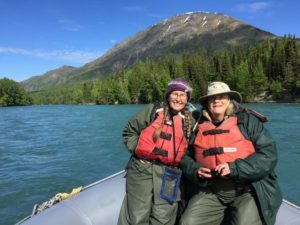 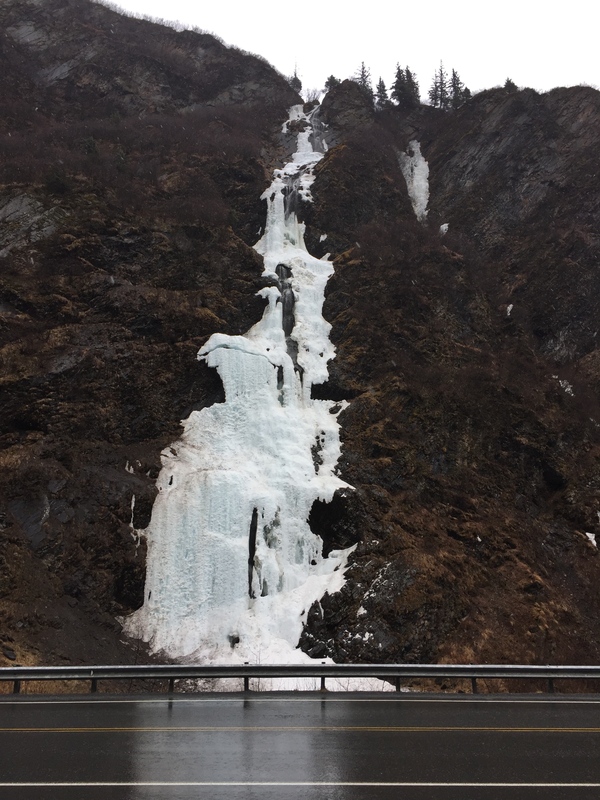 Soon, we were on the Seward Highway and heading around the Turnagain Arm, past Girdwood, the Animal Conservation site, and onto the Kenai Peninsula. Though this drive takes about two hours, it is a beautiful trip. 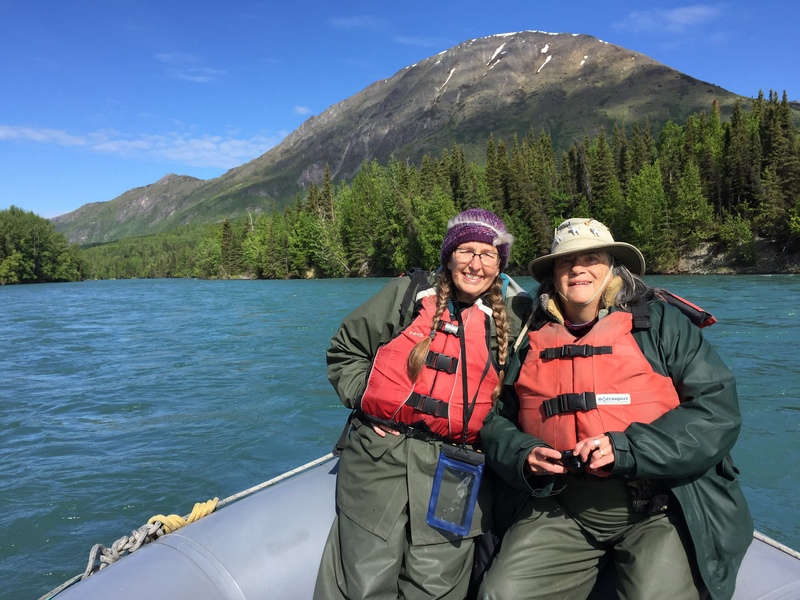 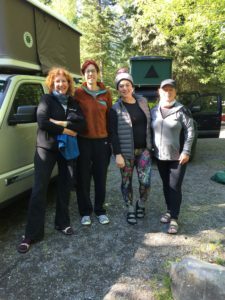 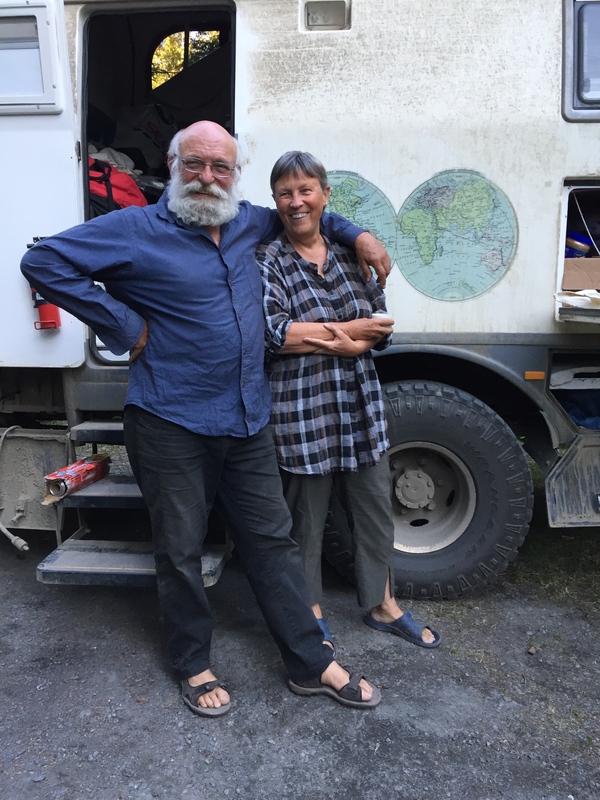 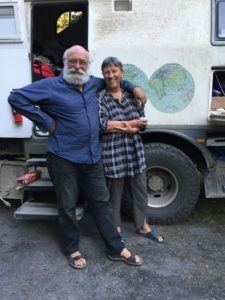 We met a woman at Toad River who commuted 45 minutes (1 ½ hours) for 29 years from Girdwood to Anchorage. 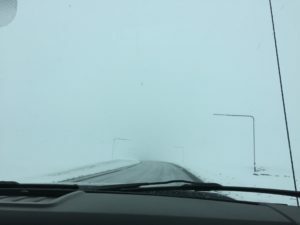 She said in spite of the weather, it was the most beautiful commute ever. 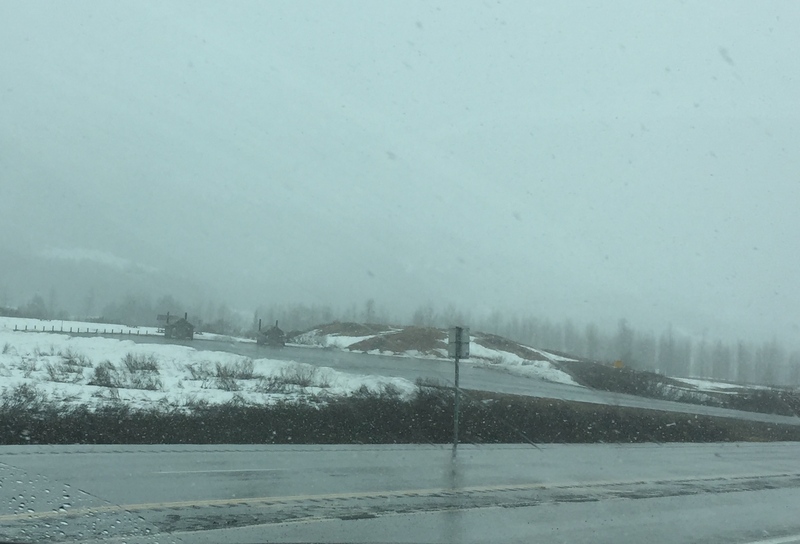 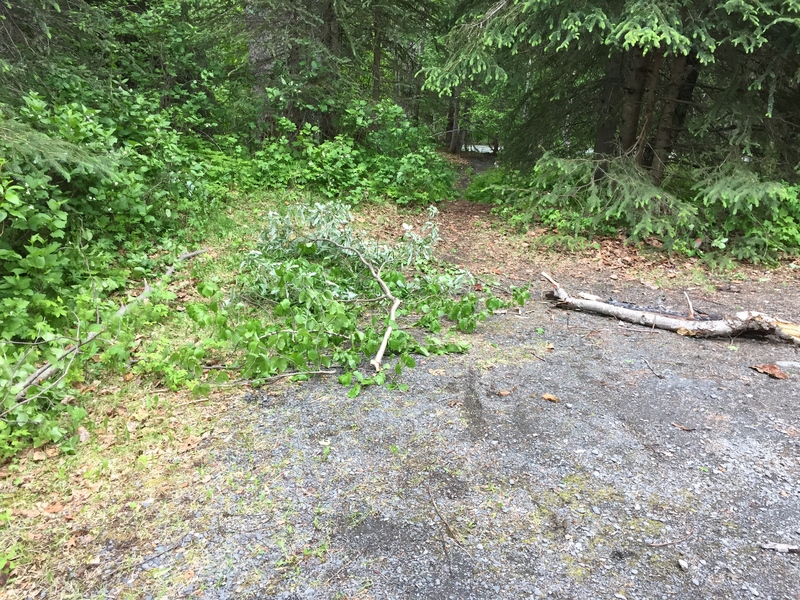 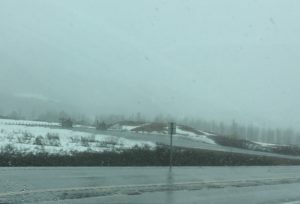 As always, it seems the wind blows and the rain falls, but then over Turnagain Pass, we enountered snow … again. 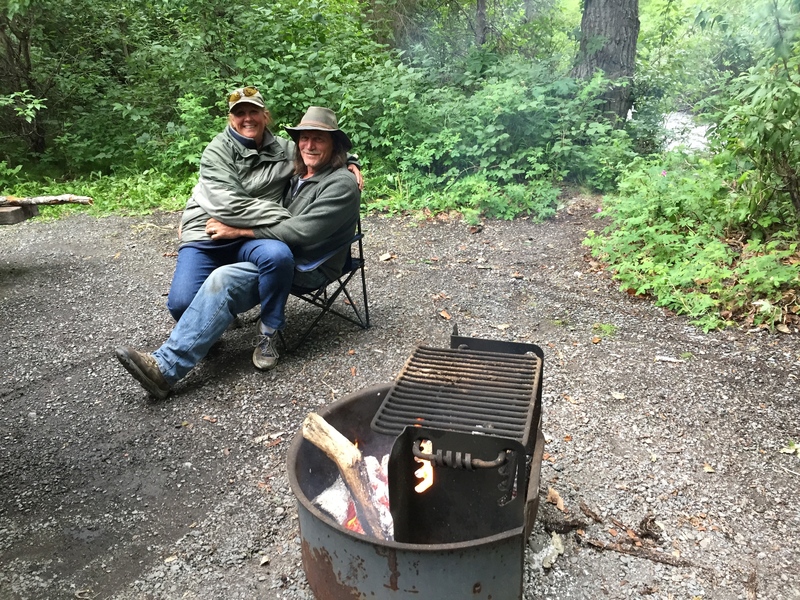 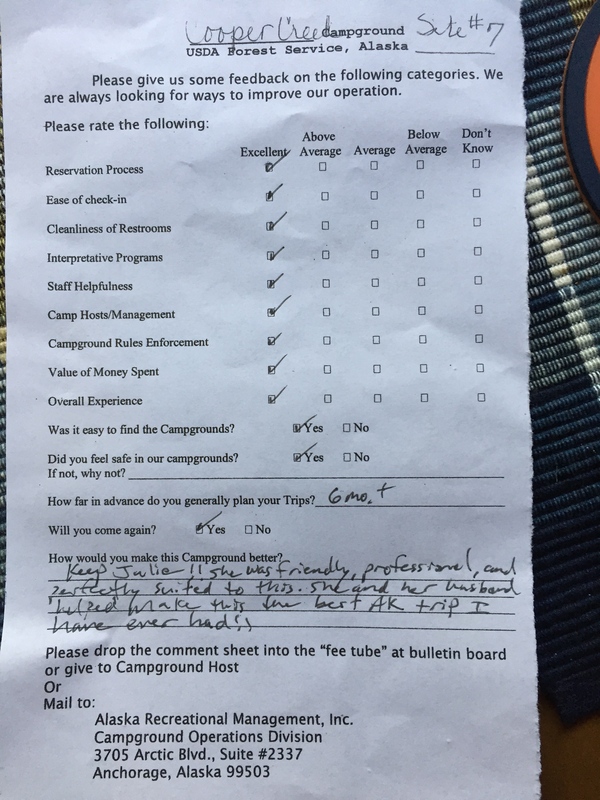 We passed all of the campgrounds that are managed by Alaska Resource Management and noted our memories of the hosts from last year. And now … we made it to Cooper Landing. 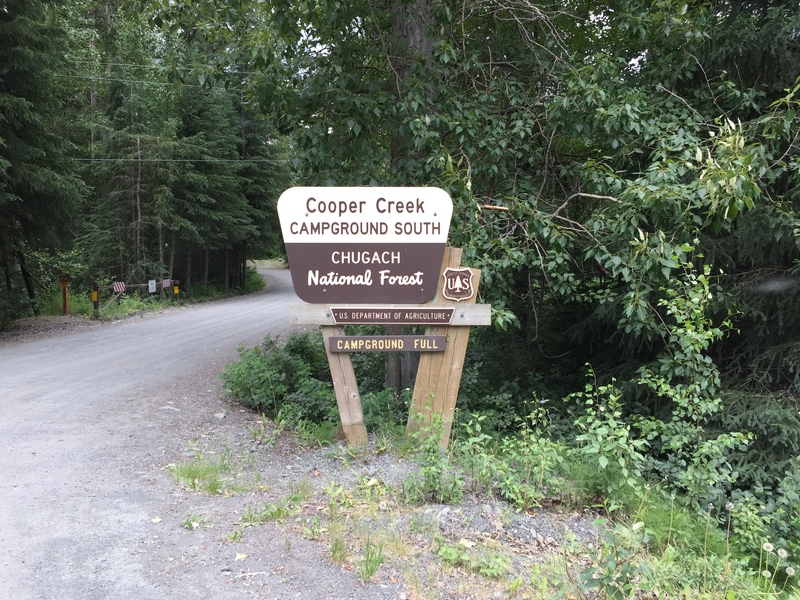 For a short time we will be staying at Quartz Creek NFS campground until our campground is opened. The break-up of the lake has already happened, but the winter melt hasn’t even begun to start and the lake is rather low. 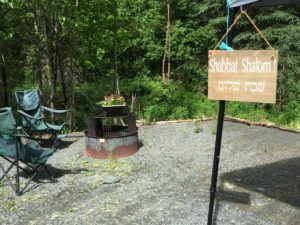 A morning hike to and around the lake and then by Quartz Creek was brisk and refreshing on the Shabbat morning. 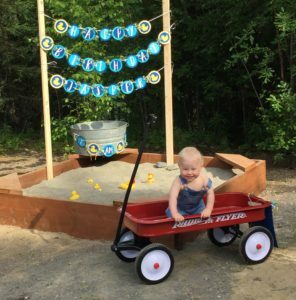 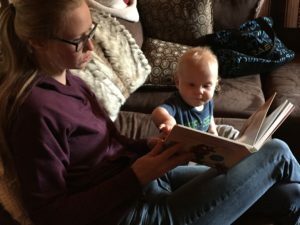 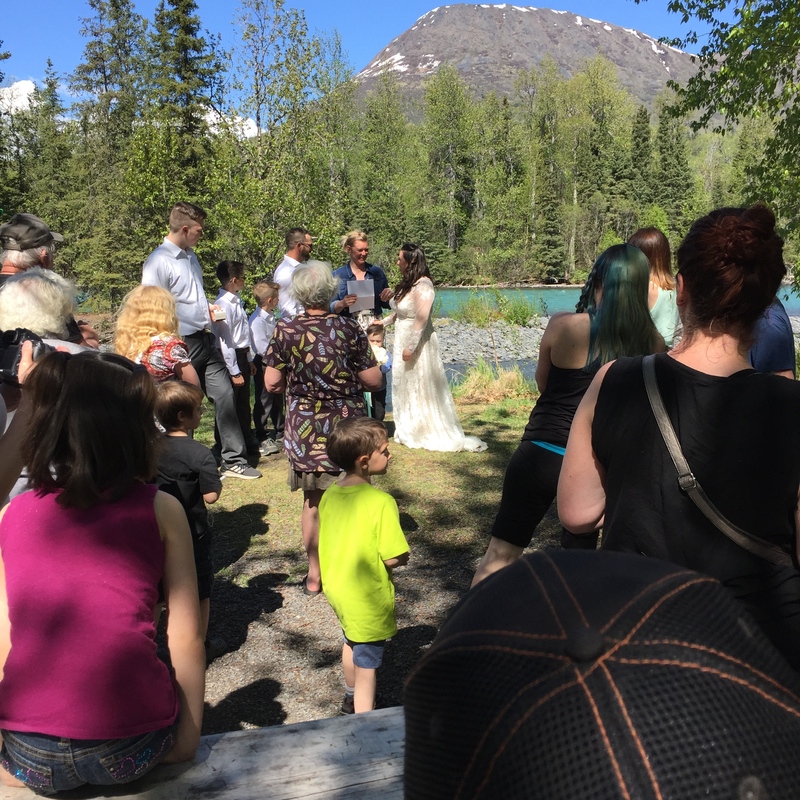 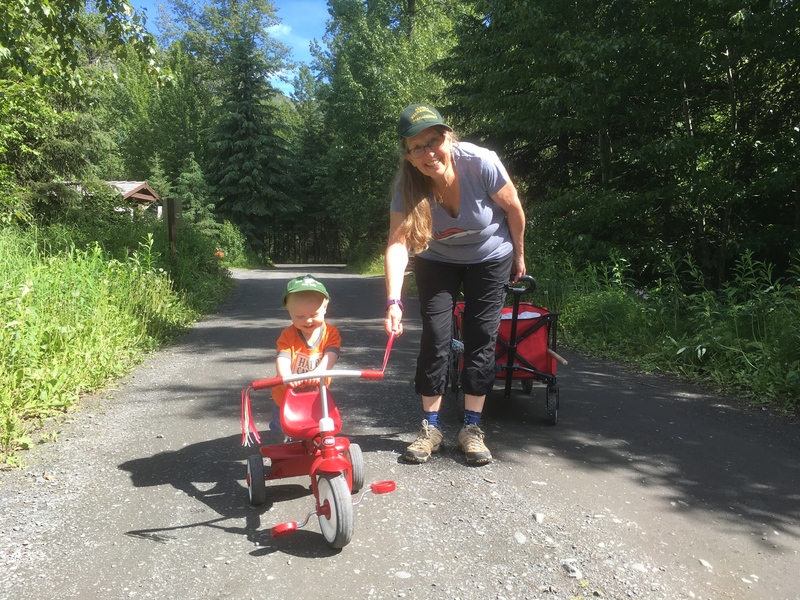 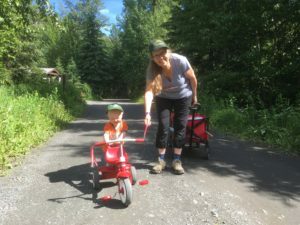 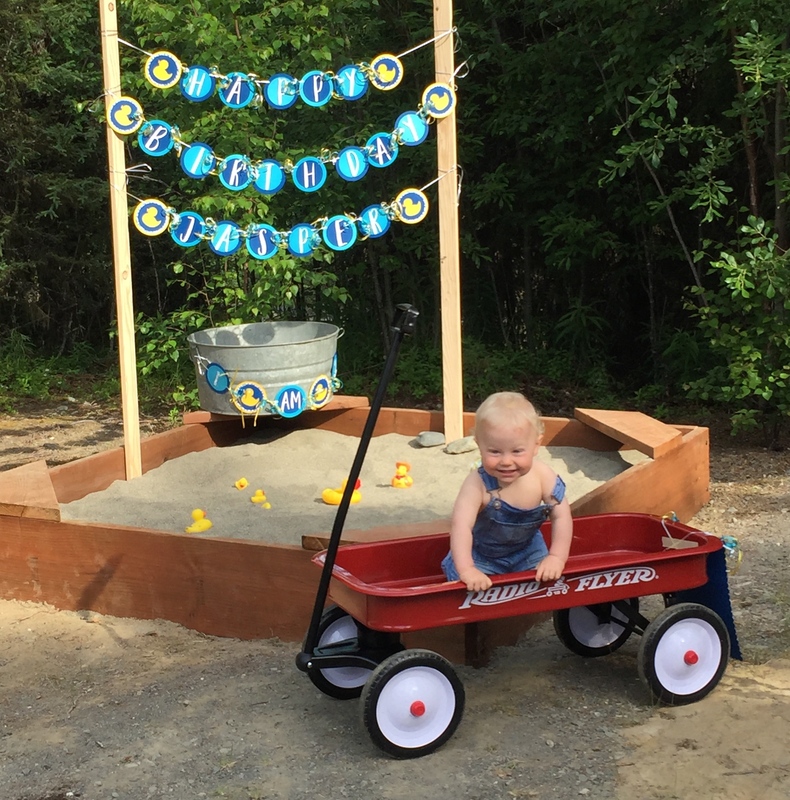 Before we start our campground gig on May 15, we have some time to enjoy the REAL reason we campground host in Alaska: our daughter, son-in-law and grandson! 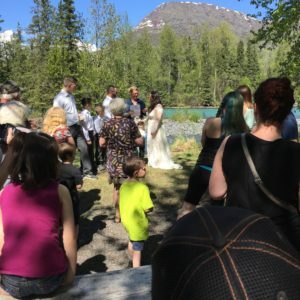 You are currently browsing the archives for the Alaska 2018 category.